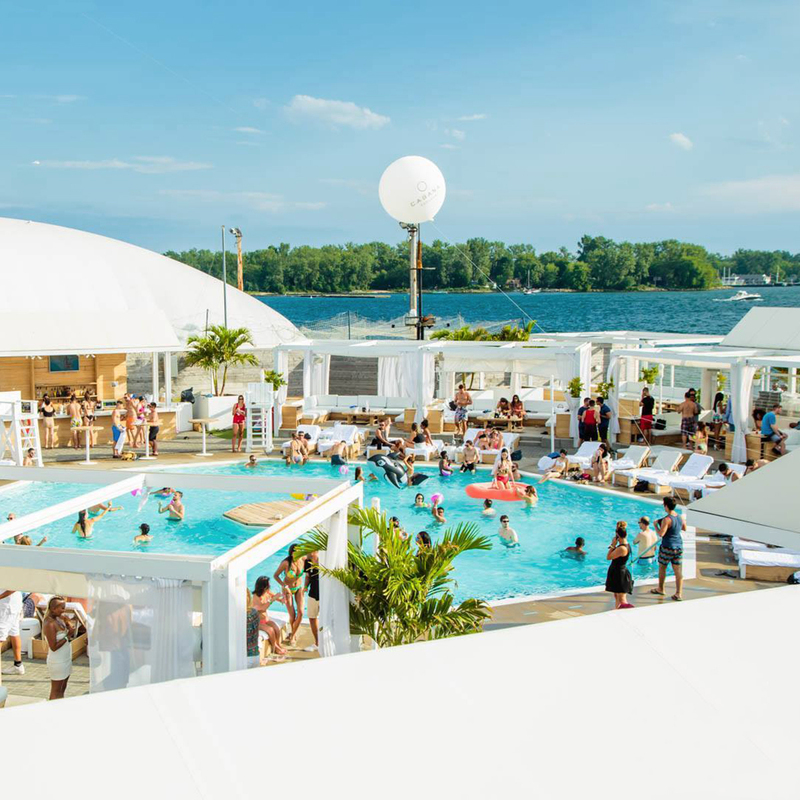 With the introduction of Cabana Pool Bar, hospitality maverick Charles Khabouth has once again brought new life to Toronto's otherwise quiet Port Lands district. 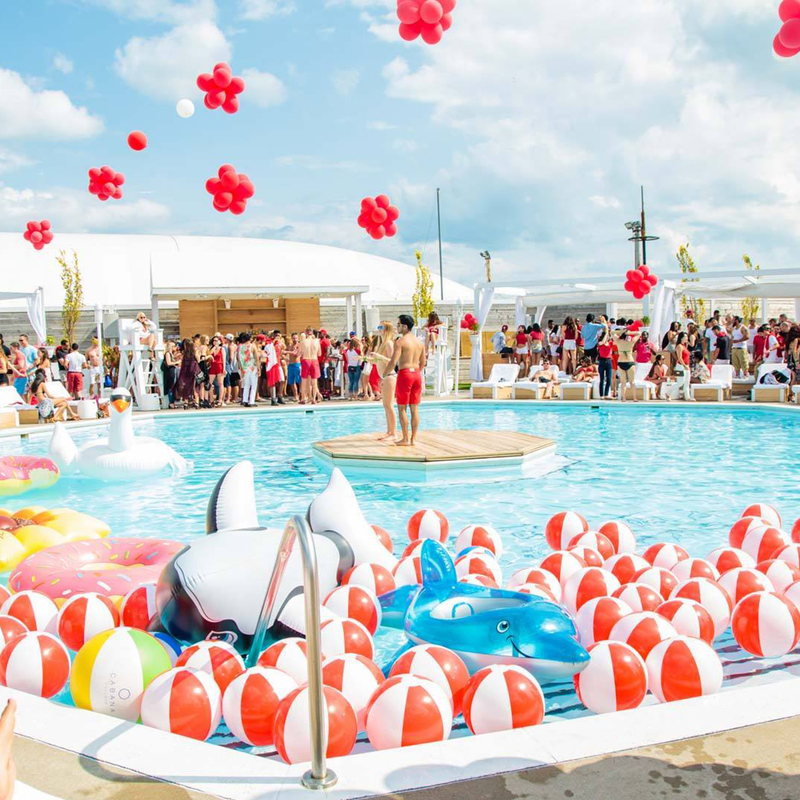 Inspired by the party resorts of Miami, Las Vegas, and southern France, Cabana Pool Bar has quickly become the hottest Summer destination in the country. Designed by Studio Munge to promote comfort and relaxation or vibrant excitement, the expansive 50,000 square foot "day life" destination has all the allusions of an exclusive resort vacation. 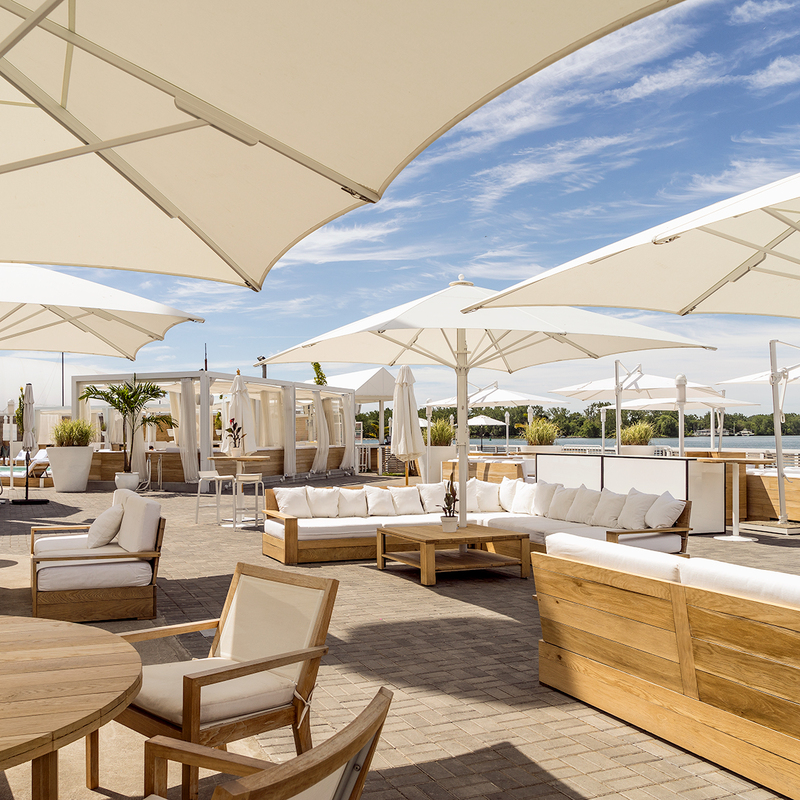 The urban waterfront has been transformed by custom oak lounges, crisp white fabrics and pristine oversized umbrellas and an octagonal pool surrounded by twelve luxury cabanas. 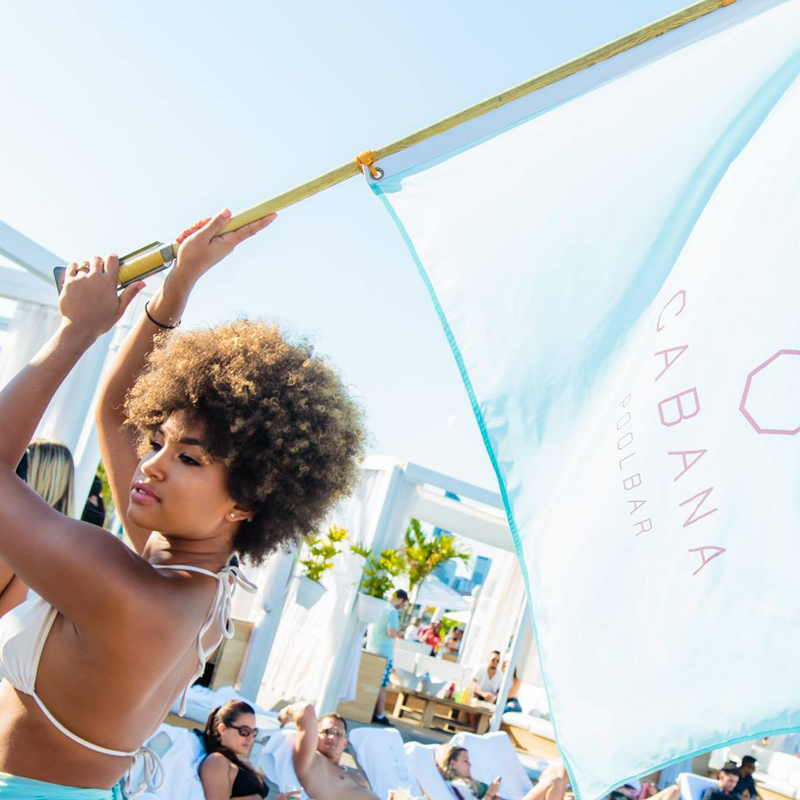 Cabana Pool Bar is a truly authentic daytime destination that has set a new standard for summertime entertainment. "This Cabana Pool Bar combines the very best of the world’s most popular playgrounds into an all-Canadian-by-the-lakeside wonderland." 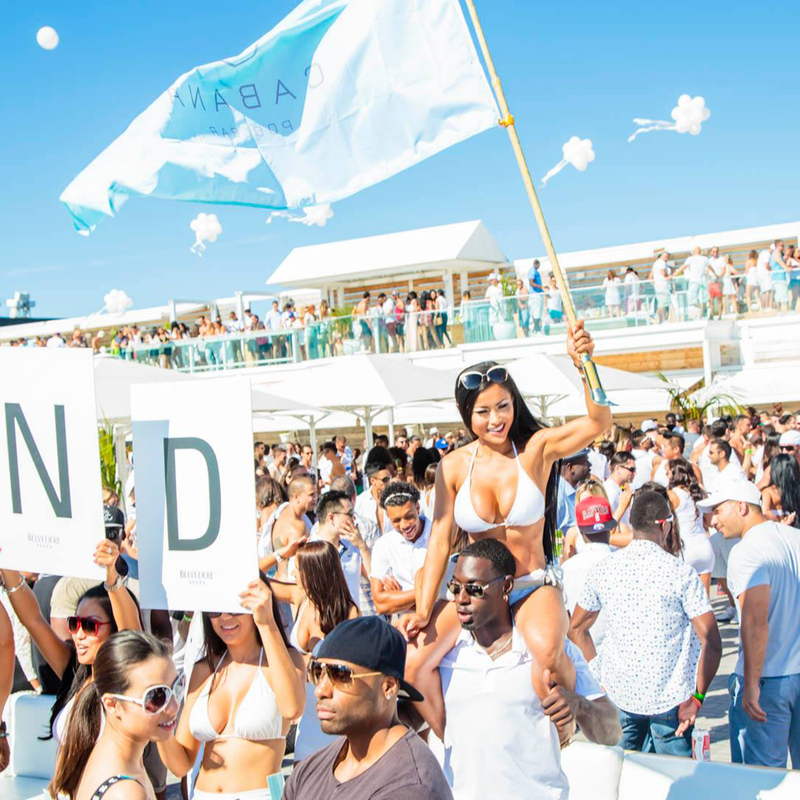 "This place is phenomenal... A Miami style pool lounge where people can enjoy great weather and amazing music." "It's the only place in Toronto where it feels like you're on a complete vacation." "I LOVE the entertainment, the vibe, and the whole experience. You feel like you are in Ibiza or Mykonos and forget you are right in the middle of downtown Toronto."